Friedrich Peter was born in Germany. After an apprenticeship in graphic arts in East Germany (DDR) he studied for six years at The Academy of Visual Arts in West Berlin. He came to Canada with Christine, his wife in 1957. They live in Vancouver, British Columbia, where they raised their three children. Beginning 1958 he taught at The University of British Columbia, The Vancouver School of Art, The Vancouver College of Art, and The Emily Carr Institute of Art and Design until 1998. Throughout his long teaching career he pursued his own creative work. Typeface designs (Vivaldi, Magnificat a.o.) and calligraphy have made him known internationally. Besides painting and drawing his diverse work includes book illustrations, murals, design of postage stamps, coins, medals and banners. He is a member of the Royal Canadian Academy. 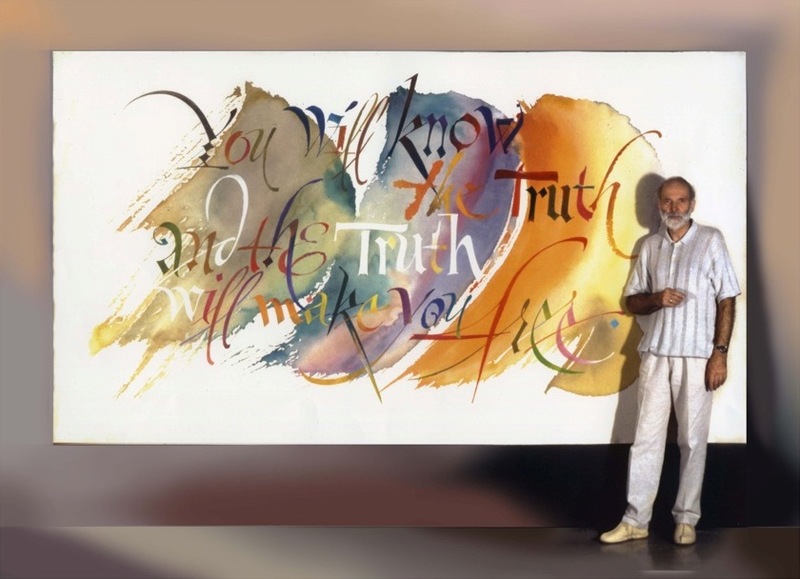 His continuing interest is in the intersection of painting, lettering art and calligraphy. The power of evocative visual form fascinates me. I seek it in my art and design, in image making, playful explorations, personal expression, problem solving, and three-dimensional projects. By giving graphic form to Scripture, I hope to express some of God’s Word and Truth. I value traces of natural forms and human touch as signs of life. In out-door painting and studio work I rely on my form-giving responses to the rugged nature of the Pacific Northwest, which drew me to Canada. In spontaneous calligraphy and watercolor painting I aim for that rewarding co-incidence of intuition, calculated risk and expression. Other projects challenge me with the notion that a creative solution will reward my ‘composting work’ and persistent search. Many of my lettering paintings and computer explorations push traditional boundaries of calligraphy and lettering. I do not know how my belief in the Triune God of Father, Jesus Christ and the Holy Spirit could ever be reflected in my work, but I desire to respond to Him. I owe Him my life and my praise. His entry into my time and space as the ‘Living Word’ is beyond my comprehension. But I try to express in visible form and in letters, what I am persuaded by, His reality and truth. Perhaps, one day, I will discover how to create visible praise. 1. 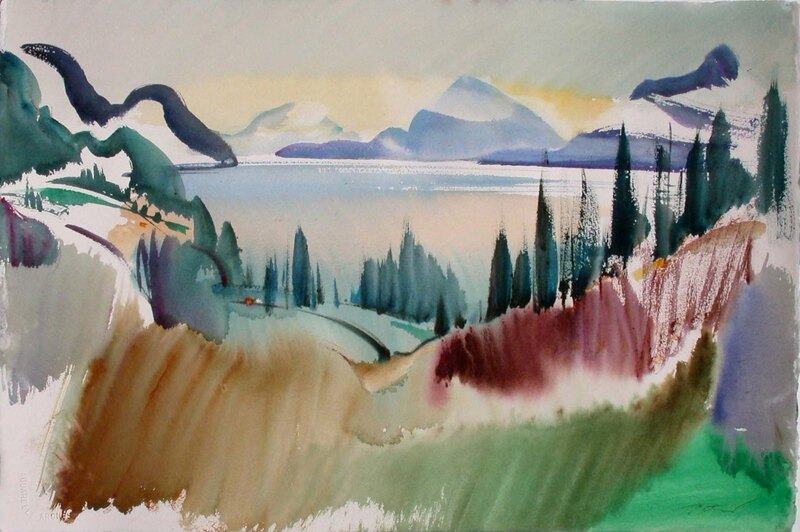 Howe Sound, British Columbia, Canada, watercolor, 38x56 cm. An on-location painting of this well-known area of the Lower Mainland, B.C., Canada. 2. 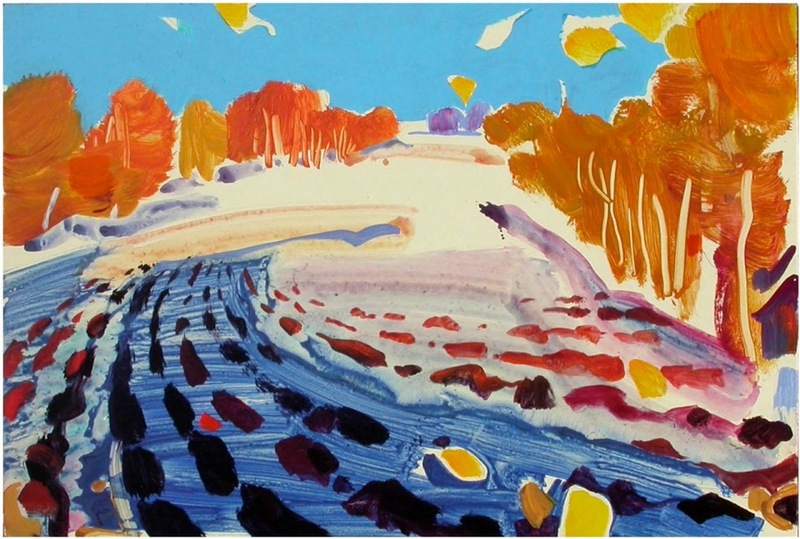 Indian Summer in Northwestern Alberta, acrylic on board, 82x122 cm. Studio reminiscence of a painting trip during the splendor of early fall. 3. 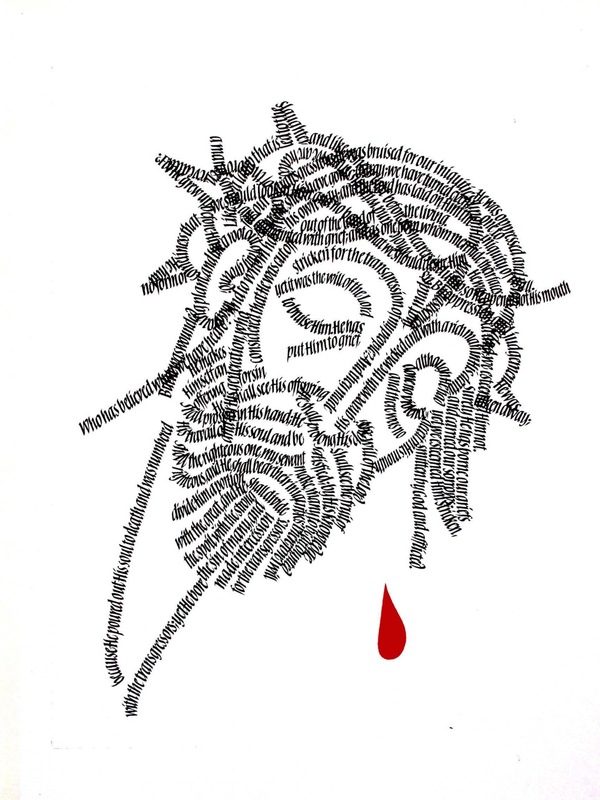 The Lord’s Prayer, lettering art / laser print on photo paper, 22x28 cm. A reverential attempt to help see, read and speak anew the Prayer of Jesus Christ. 4. 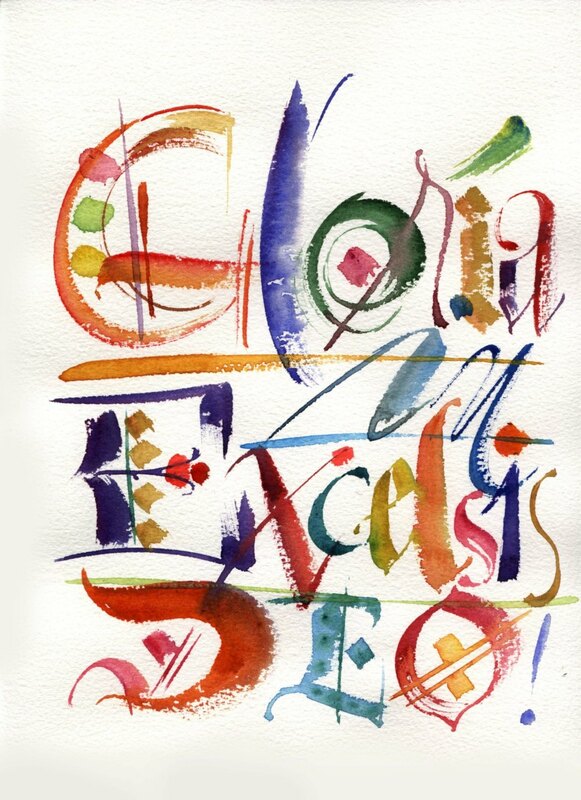 Gloria in Excelsis Deo, color calligraphy / laser print on photo paper, 22x28 cm. A graphic echo of the jubilant praise of angels, an invocation of God's glory in Latin. 5. The Suffering Servant, two color laser print on photo paper, 22x28 cm. Prophecy about Jesus Christ, God’s sacrifice for the redemption of the World. Calligram / Scripture text: Isaiah 53.